Work at our new estate agency branch on Front Street, Arnold is coming along nicely and we’ll be ready to open to the public on 31st January 2014. Formerly a branch of YourMove, our new retail outlet will be almost directly opposite Asda, right in the centre of this bustling local high street. Our new branch will be advertising properties of all shapes and sizes for sale and to let, in Arnold and the surrounding areas. A small team of proven sales professionals have already been recruited and are raring to go. They will be led by Head of Residential Sales, Phil Williams, who is excited about the potential of his new branch in Arnold. 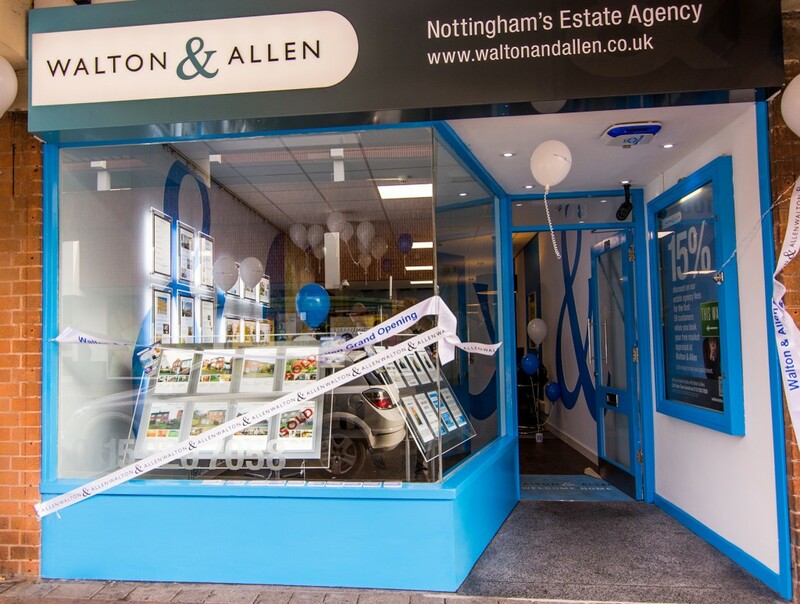 The team in Arnold will be led by new Branch Manager, Duncan Creighton, who has over ten years’ experience in estate agency, having started his career as a sales valuer, before progressing to run his own branch. Duncan came to us from a corporate estate agency and says that, “The chance to join such a proactive company which stands for all of my principles was an opportunity not to be passed up”. Duncan will be supported by Sales Manager, Wendy Denning who has an abundance of experience in the property industry along with a proven track record in sales and lettings. A new trainee Negotiator will be Sarah Summerfield, who joined Walton & Allen after working in financial services. Another vital team member will be Georgina Folkes who works as administrator for our estate agency branch in Nottingham and the new one in Arnold. Georgina has a very different work background having come from Gem 106 radio station, where she took part in large events like the Robin Hood Marathon and worked with stars like Gary Barlow, Kylie Minogue and the Vamps.